Growth consultant and ‘executionist’ with a background in sales, marketing and international business development. 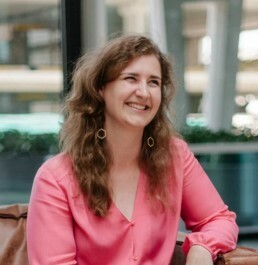 She prefers a data driven approach and helps startups and scale-ups increase their traffic through innovative methods, without losing sight of their customers’ needs and desires. Felice studied International Marketing and Management and also graduated in Export management. Since then she has worked across multiple industries, which allows her to translate solutions cross-industry and easily level with various stakeholders. Growth hacking, (Digital) Marketing & Sales, Lead Generation, Marketing Automation, Data Analytics, International business development.